Many people mistakenly juxtapose knowledge for wisdom, as both are nouns and used in the English language. But the truth is that they are different. There are many quotes and sayings of knowledge and wisdom given by the experts and great personalities that define the significance of these two terms. Sir Francis Bacon said “Knowledge is power” while Gautam Buddha, hold that “Wisdom is highest of all five virtues”. Knowledge is the accumulation of information, learned through education or experience. On the other hand, wisdom is when you know how to apply your knowledge, for the benefit of others. Here, in this article, we’ve simplified the difference between knowledge and wisdom. Meaning The collection of information and facts about something or someone by learning and experience is knowledge. Wisdom is the ability to judge and make right choices in life. Acquisition It is obtained or learned. It is developed. The term ‘knowledge’ simply refers to the understanding or awareness, about a person, thing or subject, such as facts, skills, information, etc. It is the state of what you know about a particular topic. It is the familiarity with different objects, ways of doing things, places, cultures, events, facts, ideas, etc. It can be theoretical or practical proficiency gained over time through education or experience by learning, observing, researching, discussing, studying and so on. Wisdom is a wider term than knowledge and intelligence. It is the quality of person to think, act or discern what is best, right, true and enduring. It is the application of common sense, knowledge and experience, at the right time, place, manner and situation so as to follow the best possible course of action. It develops the ability to judge and make beneficial and productive decisions in life. Knowledge and understanding are the basis of wisdom, but the experience is the key to attaining wisdom. It unites knowledge and experience into insights and increases an individual’s understanding of relationships and meaning of life. 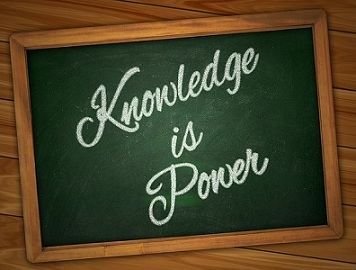 Knowledge refers to the collection of information and facts about something or someone by learning and experience. The ability of a person to judge, apply education & experience in practical life and make right choices is called wisdom. Knowledge is nothing but organised information. It is not about the plethora of information, but that should be relevant. On the contrary, wisdom is the quality to implement knowledge into practical life. Knowledge is selective in nature, in essence, it only stores specialised information. Conversely, wisdom is comprehensive and integrated. Knowledge is deterministic while wisdom is non-deterministic. Knowledge results in the understanding of the particular subject, whereas wisdom develops the discernment and reasoning ability in a person. The approach of knowledge is theoretical. In contrast to, wisdom which has a spiritual approach. When it comes to the acquisition, knowledge is acquired by obtaining information or learning about the facts by observation or education. As opposed to wisdom, which is developed in the person through the day to day experiences in life. Knowledge has the same relation to mind, like that of wisdom with soul. After referring to the above points, it can be concluded that there is a difference between knowledge and wisdom, but they are connected concepts. Knowledge without wisdom is possible, but wisdom without knowledge is impossible. While knowledge is limited, wisdom has no visible end. Knowledge can have positive or negative effects in the sense that it can be useful to people if they use in a right way, but can also harm others if they use that knowledge in a wrong direction. Unlike wisdom which has only positive results, because it is the implementation of knowledge with an active and benevolent attitude. Wowwww… Mam.. This was an awesome article. Like the article and agree with its premise.